By adding a Zebra mobile printer to your labeling system, you can increase productivity and efficiency throughout many departments in your organization. 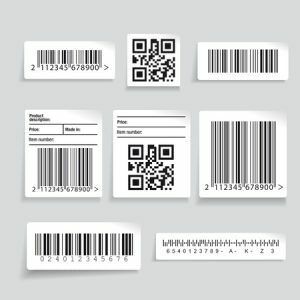 You will be able to print barcode labels on the fly, as well as documents up to 4” wide, all of which are printed with a Zebra ribbon that was designed to withstand harsh conditions and outdoor environments. Staff won’t be required to plug in to print labels and can actively work in shipping/receiving, processing, inventory and more while simultaneously printing the labels needed to expedite their business processes on their high-quality Zebra mobile printer. And because your mobile printer labels will be printed with Zebra ribbon ink, you can rest assured that your label won’t get smeared or fade over time. 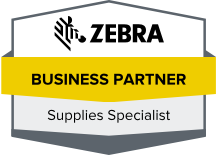 At Tri-State Business Systems, we have the Zebra mobile printing and scanning products you need to streamline your business, and with decades of industry experience, we can help you select the ideal products for your unique business needs. Tri-State Business Systems has been trusted and relied on by many of the world’s leading fortune 1000 and fortune 500 companies for our superior product selection and unparalleled service and support. We gladly serve businesses in Branchburg, Flemington, Rowland Mills, Hopewell, Mt. Rose, Princeton and beyond, and we can easily drop ship products to any address within the contiguous United States. So, if you are looking for a high-quality mobile printer, look no further than Tri-State Business Systems, your premium supplier of Zebra ribbon, printers, barcode scanners, RFID printers, RFID readers and more. Contact us today for product inquiries. We look forward to serving you and helping you design the barcode and labeling system you need to better your business processes.